Moet & Chandon Ice Imperial - A stunning white premium bottle, the first and only champagne created to be enjoyed over ice. This Ice Imperial champagne is usually only available to buy at the worlds most exclusive resorts and beach clubs, such as Saint-Tropez. 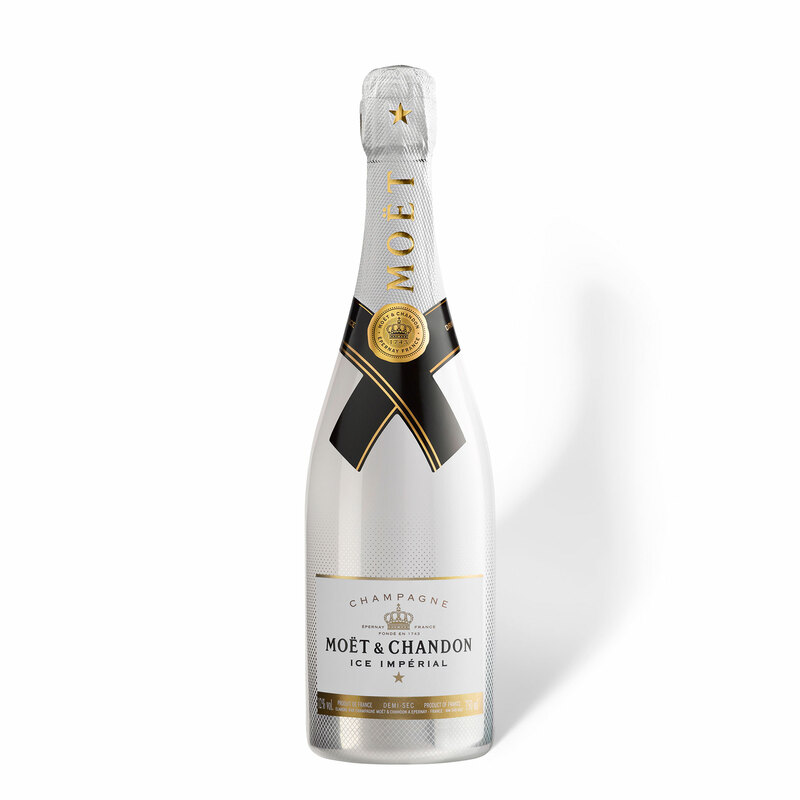 This latest edition to Moet, hosts flavours of tropical fruits, liqourice, peppermint and red fruits. The perfect drink for a sunny day. Serve in a large wine glass with ice cubes, mint leaves and a strawberry.